Havering songsters will be hitting the high notes in Hornchurch in early January. Havering Music Makers take over the Queen’s Theatre for three performances on Saturday January 17 and Sunday January 18. 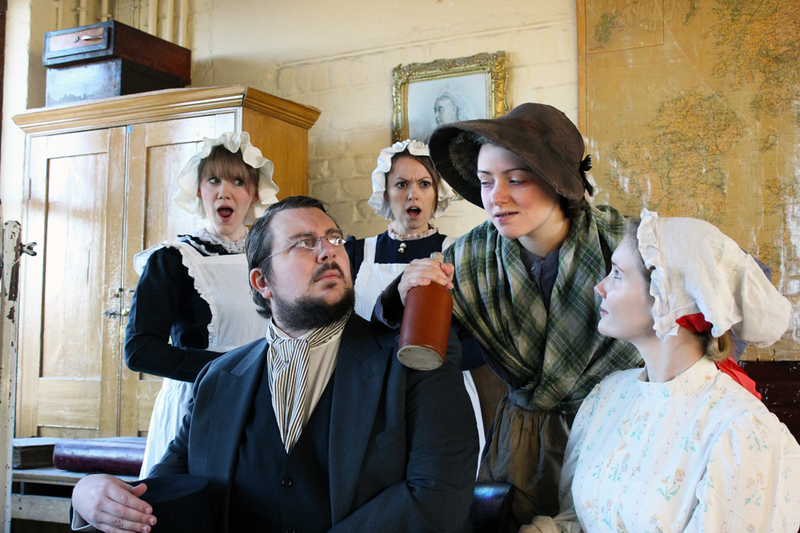 Noted for the excellence of its productions, the Music Makers take on Andrew Lloyd Webber and Tim Rice’s musical ‘The Likes of Us’ the story of Dr Barnardo and his creation of Ragged schools for destitute London children. Cast members have been seeing first hand what they are portraying with a visit to the Ragged School Museum in east London, and bring the experience back onto the Queen’s stage. Formed in 1976, Havering Music Makers Chairman said:” Visiting the Ragged School Museum was a great experience. We learned a lot about Barnardo’s work to set up the children’s charity we all know today. Notching up almost 40 years of productions in Havering, the group have built up a strong reputation and shown they are more than capable of lighting up the Queen’s stage in the best traditions of Havering’s own Jewel in the Crown in Billet Lane, Hornchurch. The museum was founded to make the history of the Ragged Schools and the broader social history of the Victorian East End available to all. A spokesman for the Museum said: “Within the original buildings, an authentic Victorian Classroom has been set up where each year some 16,000 children experience a school lesson as it would have been taught more than 100 years ago. The spokesman continued: “This is a museum where you can sit at the school desks, use the tin bath and experience what life was like for the Victorian poor of the East End of London. 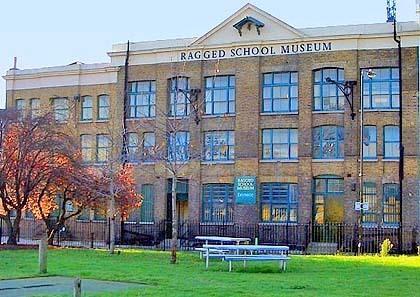 The Ragged School Museum was opened in 1990 in the former Dr Barnardo’s Copperfield Road (E3 4RR) premises in Tower Hamlets. Phone 020 8980 6405 for details of opening times. Tickets for ‘The Likes of Us’ at the Queen’s are £16 for adults, and £14 for concessions. The performances run on 17 and 18 January at 4pm, with an evening performance at 8pm on Saturday 17 January. Call the company box office on 01708 762256, email tickets@haveringmusicmakers.co.uk or visit http://www.haveringmusicmakers.co.uk and follow the links to book online by credit card. Tickets can also be purchased through the Queen’s Theatre on 01708 443333. THE SPIDER AND THE FLY ON A DAMP AUTUMN MORNING – THE FLY DISAPPEARED! DARTFORD CROSSING £4 EACH WAY?